Personalized red 56” arc auto - open/close magnum umbrellas can leave anyone spellbound with their extra strong and appealing construction. 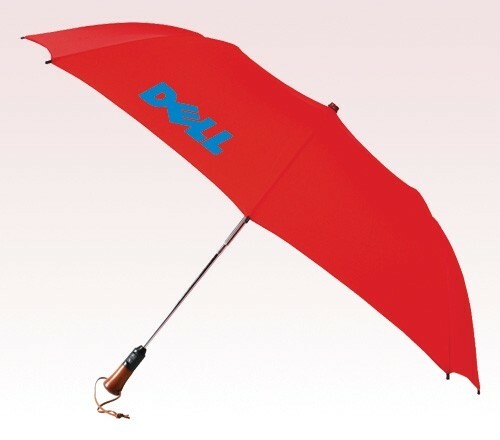 This umbrella is sought for high profile corporate gifting and it is employed for representations, too. People love using it as a fashion accessory because it puts them into tight spotlight. 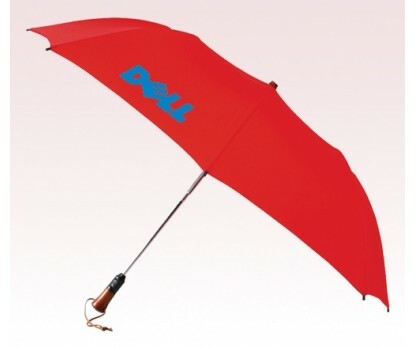 It possesses longer shelf life than many other umbrellas used for business marketing. Features - Auto open/Auto close function, wooden handle, steel windproof frame, and red 56” arc pongee canopy. Dimensions: 56" arc - Folded Length 19.5". Imprint area - 8" W x 8 " H.